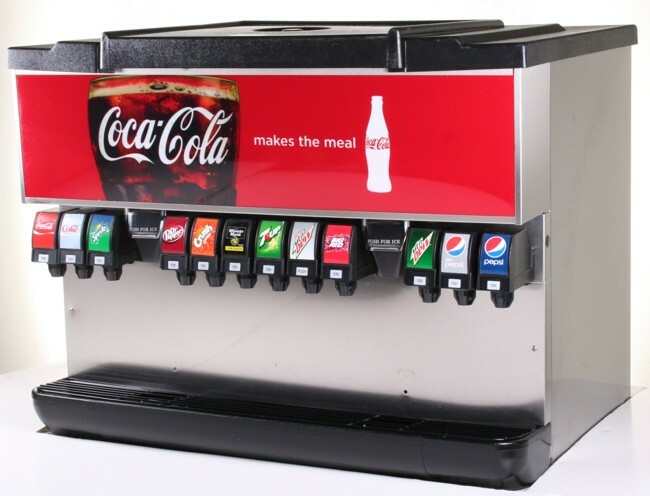 Complete, remanufactured, twelve (12) flavor ice and beverage soda fountain system. Ideal for self-serve applications. The system, with built-in ice bin (holds approx. 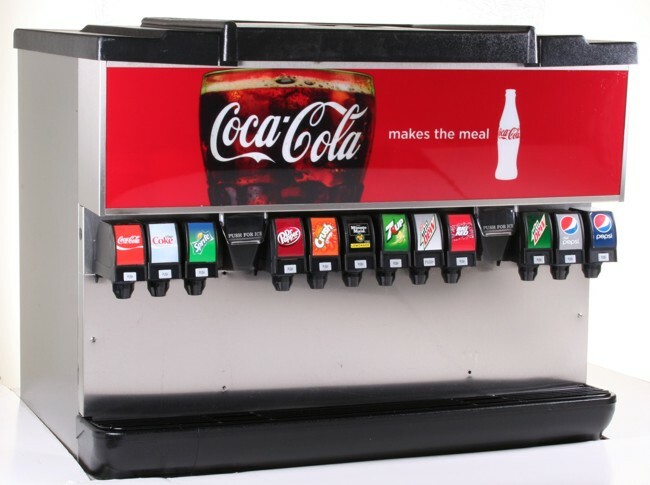 300 lb of ice), has built-in cold plate and is equipped with a push-button-activated ice dispenser. 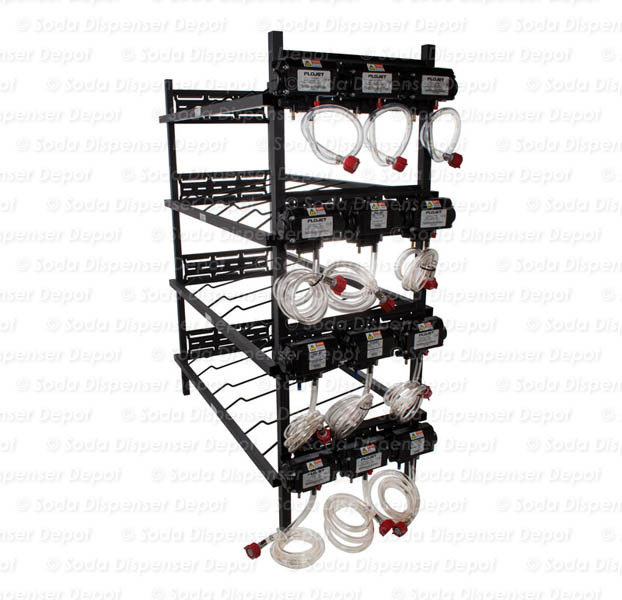 This method of cooling is very efficient and easily maintains product quality during high demand. 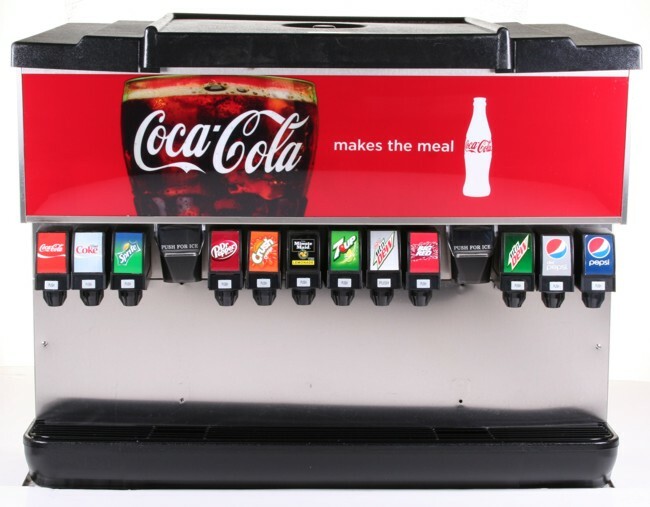 Dispenser features an attractive marquee and stainless steel construction.